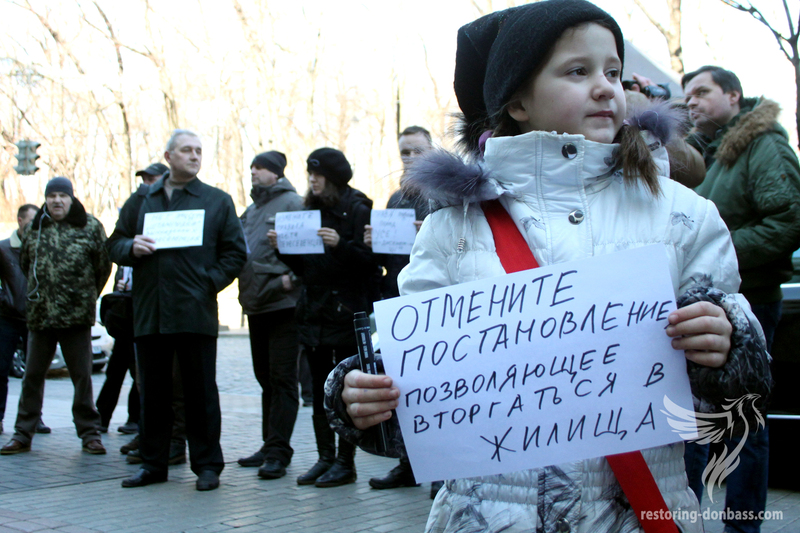 Displaced people from ATO area, who came to picket in front of the Cabinet of Ministers, resented that they require to get registered at the new place of residence and put a stamp in the migration service. Displaced people believe that this is a kind of returning “temporary registration”. Moreover, property owners will not register in its housing IDPs.